The annual Los Angeles Archdiocese Christian Service Awards were presented to three Loyola seniors along with 51 other Catholic high school seniors on Tuesday, March 14. The award recipients gathered at the Cathedral of Our Lady of Angels for the event that started with a mass presided by Archbishop Jóse Gómez at 10 a.m. and was followed by the awards ceremony. 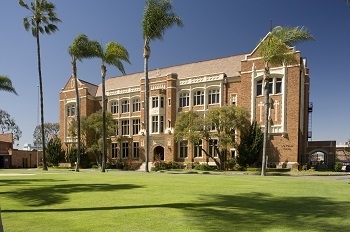 To be eligible for the award, the student must be a senior in a Catholic high school within the Archdiocese of Los Angeles, have spent at least two years of voluntary community service outside of school and have a recommendation from the Christian service moderator and the principal. Each participating Catholic high school is allowed one to three awards by the archdiocese. For every 500 students, one award is eligible to be given at the school with a maximum of three awards given to schools with over 1,000 students. 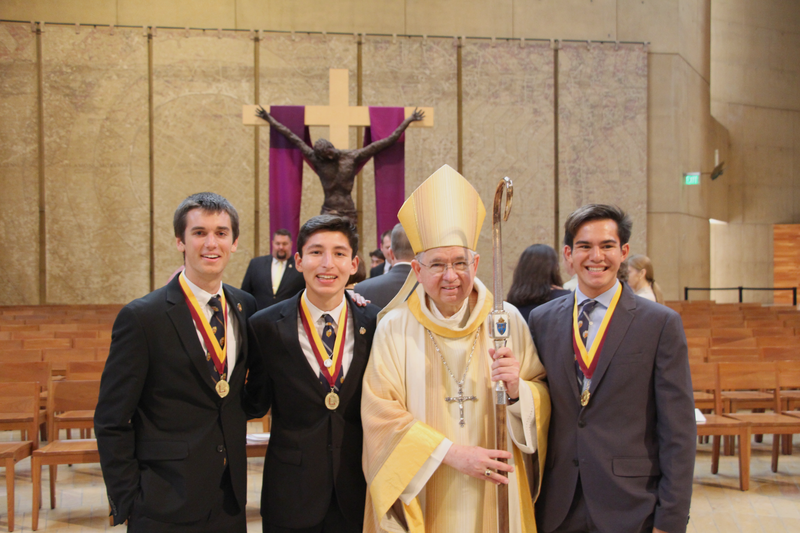 The three Loyola seniors who were chosen to receive the Christian service awards were Alejandro Salinas, Brian Kendrick and Michael Fissinger. Salinas works on the Baja Build in Mexico twice a year, and, outside of his volunteer work, he is a captain of the varsity cross country and track distance running teams, an Eagle Scout and founding member of the Health and Nutrition club. Kendrick completed his service both inside and outside of the Loyola community. He was a Big Brother, a senior retreat team leader and a Kairos retreat leader. For his senior service project, he volunteered his time at the Good Shepherd Shelter for Battered Women and Children. He was also a part of the Association of Catholic Student Councils where Kendrick taught leadership skills to elementary and middle schoolers in Los Angeles, Orange County and the Inland Empire. Kendrick also volunteered with the Special Olympics when they held a competition at Cleveland High School. In addition, Kendrick swims for both Loyola and a club team and is the president of the Loyola Leadership and Innovation Bootcamp. Even with Kendrick’s busy schedule, he made time to go beyond with works of service. Fissinger participated on the Kino Border Initiative trip, the Ignatian Solidarity Network trip to Capitol Hill and lived alongside the homeless for three weeks in the Cardinal Manning Center for his senior service project. Fissinger is also the president of the Kino Club, runs on the track and cross country teams and is a member of the John Malloy Broadcasting Club. Registration for rising seniors interested in applying for the highly competitive award will take place in the fall and will close in February.